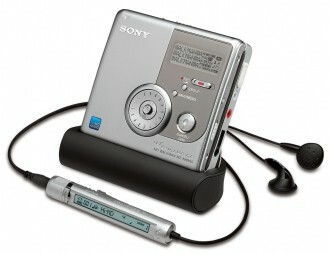 Sony announced plans to discontinue the MiniDisc player nearly two years ago following a surprising 21 year run. The company is just now getting around to putting the final nail in the coffin of the forgotten format as the last units will leave the assembly line next month. Sony’s MiniDisc player was the next big thing when it debuted way back in 1992. The aptly-named format was able to stuff music onto a small optical disc about half as large as a compact disc. The idea was to make the format easier to transport while still holding around 80 minutes worth of tunes but truth be told, it never really took off among US consumers due to a number of reasons. For one, pricing on the format was very expensive which didn’t drop much over the years. Furthermore, very few new music releases were sold in the format. We are told the MiniDisc was fairly popular in Japan but nowhere else. The fact that Sony kept the format around this long is puzzling at best considering it was never able to compete with the compact disc in the ‘90s and it certainly didn’t stand a chance when digital music took off with the introduction of the iPod in 2001. Truth be told, I wasn’t even aware that the MiniDisc was still being actively produced. Given Sony’s recent woes and restructuring effort, one has to wonder why this technology wasn’t axed much sooner.